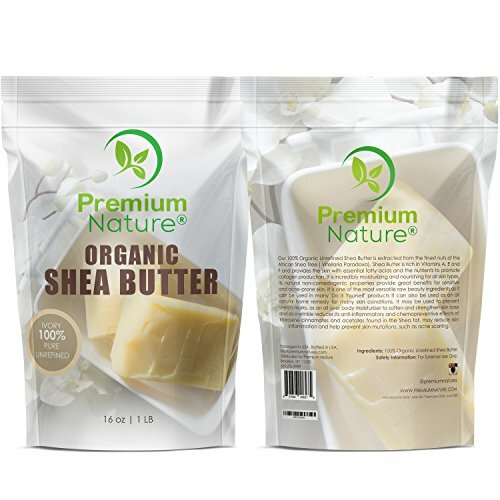 PREMIUM NATURE’S UNREFINED SHEA BUTTER IS A MIRACLE FOR YOUR HAIR & SKIN! Today Shea Butter is well known as a great ingredient for treating the driest of skin with the worst skin conditions. This is very important since our skin is something that we must take care of as we age because it is essential to living a healthy and comfortable life. 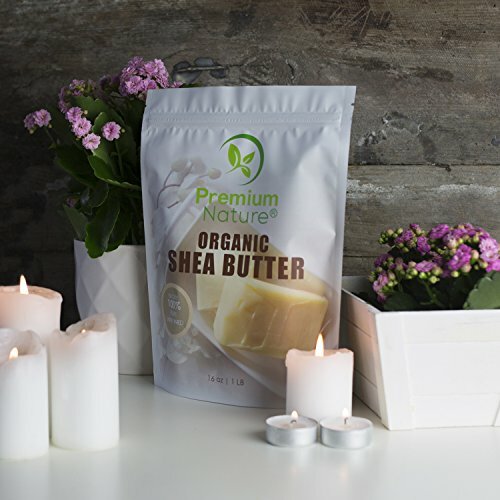 Shea butter is rich in Vitamin A, E and Fatty Acids! 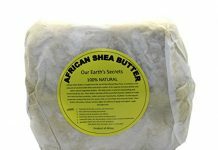 Shea butter seeps deep down into your skin to moisturize you through and through! You are left with skin that looks youthful and is super soft to the touch. If you suffer from an itchy scalp and/or dry and brittle hair Shea Butter is also an amazing hair rejuvenation substance. It goes deep into your roots to nourish your scalp and hair. Your dry scalp and dandruff days will be over. 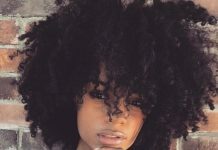 Your hair will be fuller, thicker, and stronger from root to ends. 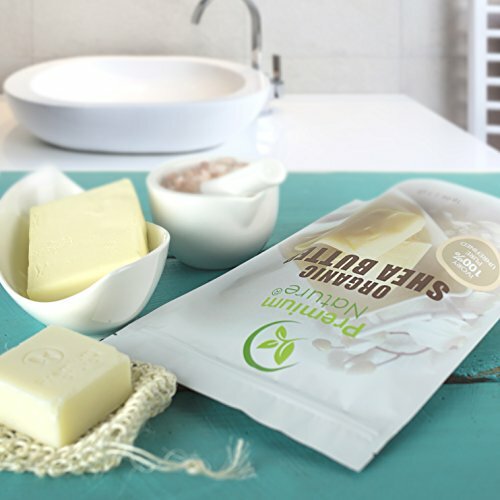 Shea Butter is a substance that is made to undo the damage of heat and friction. SHEA BUTTER SOOTHES THE WORST SKIN CONDITIONS! 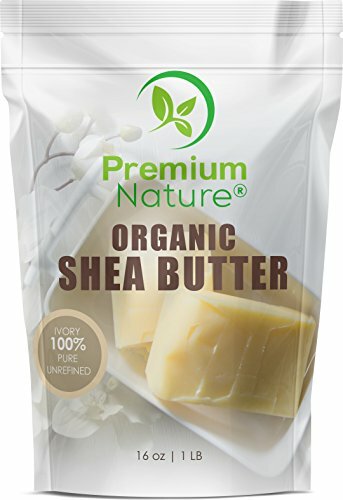 Premium Nature understands that everyone has different skin and different issues so making a DIY Shea Butter skin product is something that you can do with our raw substance! It makes a great base for other ingredients in your health and beauty creations. 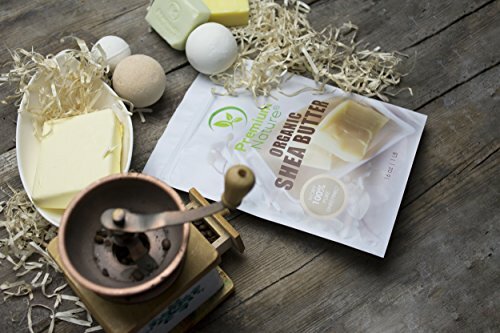 Shea butter goes well with essential oils such as Jojoba Oil, Coconut Oil, Vitamin E, Aloe Vera, and more! 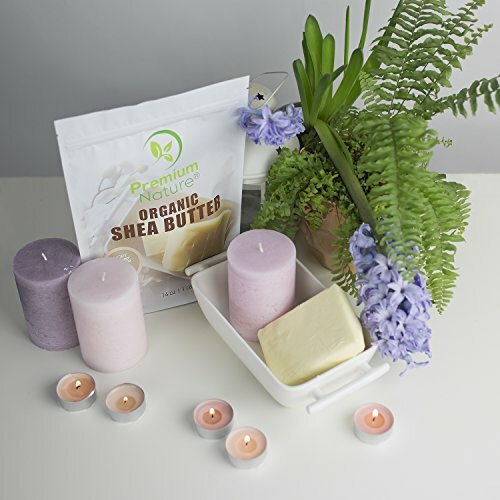 Create your perfectly blended DIY skin care product today with Premium Nature’s unrefined shea butter! EASY TO BLEND: Our special shea butter formula is easy to mix with any essential oils such as Jojoba Oil, Aloe Vera, Vitamin E, Coconut Oil, and more! Make your perfect skin product today! REJUVENATES HAIR: Only our all-Natural Shea Butter formula can take your dry and thin hair to a lush, full and soft head of locks! 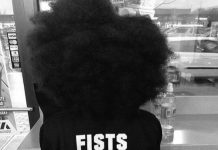 You can also use shea butter to cure a dry, itchy scalp! SOFTENS SKIN: Shea Butter is known for being able to take dry and itchy skin to super soft and thoroughly moisturized skin. This product penetrates deep into your skin to make it better! 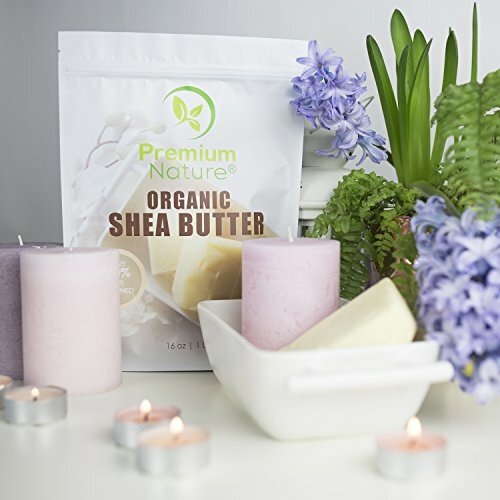 100% ALL Natural: All natural Shea Butter is the best ingredient to use when you are mixing it to create the perfect DIY body lotion, shampoos, lip balms, soaps, conditioners and more!